Undefeated, rising star Tramaine “The Mighty Midget” Williams is returning to the “Sunflower State” with his own “Gold & Glory” plan as he battles for the vacant World Boxing Organization (WBO) International junior featherweight title co-main event on the “KO Night Boxing: Gold & Glory” card, at Hartman Arena in Park City, Kansas. “KO Night Boxing: Gold & Glory” is a presentation of KO Night Boxing LLC., in association with Roc Nation Sports and Hartman Arena. The event is sponsored in part by Park City KS, Twister City Harley-Davidson and Metro PCS. Williams 13-0, 5 KOs) will be fighting for the third time in Kansas, each on a “KO Night Boxing” card headlined by hometown hero and 2016 Olympic bronze medalist Nico Hernandez (3-0, 2 KOs). Hernandez will be fighting for his first pro title Dec. 2 in only his fourth pro fight, versus Hungarian flyweight champion Jozsef “Little Red” Ajtai (19-9, 12 KOs) in the eight-round main event for the vacant International Boxing Association (IBA) Americas flyweight title fight. A 10-time national amateur champion from New Haven (CT), the 24-year-old Williams is moving down one weight class to fight Alexei “The Hurricane” Collado (23-2, 20 KOs) for the vacant WBO Junior Featherweight Championship in the 10-round co-featured event. Williams, who is the No. 2-rated featherweight in the United States Boxing Association (USBA), won eight and 10-round decisions, respectively, to Eduardo Garza and Derrick Murray, this past March 3 and September 23, on “KO Night Boxing” events in Kansas. On another “KO Night Boxing” card, Williams registered a sensational opening-round knockout of 30-7 William Gonzalez, this past July at the Queen Mary in Long Beach. “Fighting for the WBO International Junior featherweight title is a huge opportunity for me and I’m thankful for Roc Nation’s support in arranging this fight,” Williams said. “I know my potential and winning this belt would be the first step toward putting myself in position to fight for a world title. Collado was a decorated amateur boxer in his native Cuba, where he defected from to Miami, where he lives and trains. In his last fight, Collado stopped Walter Rojas in the first round, May 28th in Trinidad, to capture the vacant World Boxing Council (WBC) Latino junior featherweight title. The opening televised bout is an eight-round welterweight match featuring unbeaten Wellington Romero (13-0-1, 7 KOs), a 2012 Dominican Republic Olympian who now fights out of Newburgh, New York, against his fellow Dominican, Victor Abreau (9-2, 5 KOs). Arizona welterweight Abel Ramos (18-2-2, 13 KOs) takes on battle-tested Mexican invader Cesar Soriano (28-36-1, 17 KOs) in an eight-round throw-down. Also fighting on the undercard in a six-round match between undefeated junior lightweights, Californian Joshua Zuniga (8-0, 3 KOs) and Moldova-native Piotr Apostol (4-0, 2 KOs), fighting out of Seattle. Wichita middleweight Jeff Sturm (1-0) faces intra-state rival Brian Clements (0-01), of Topeka, while another Wichita fighter, junior middleweight Ramon Barber (7-16, 6 KOs). 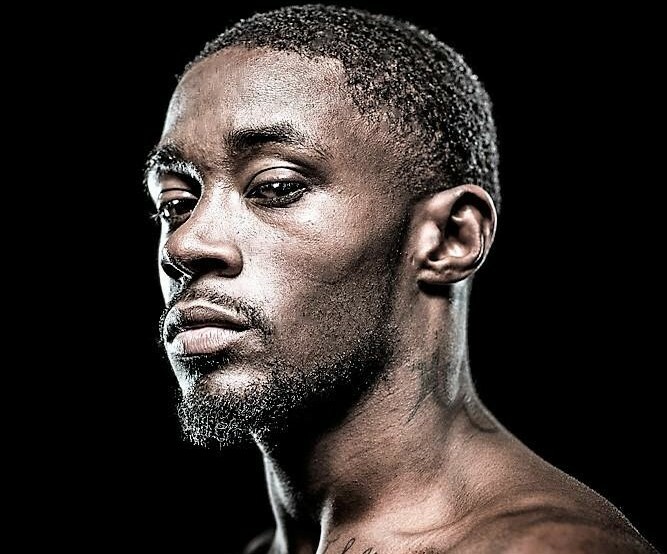 meets Milwaukee’s Akeem Black (3-1, 1 KO), in a pair of four-round bouts.